The top-of-the-hour Townsman automatic takes its cues from vintage designs. A refined rose gold-tone case houses a clear crystal lens and the precise inner workings of the watch. 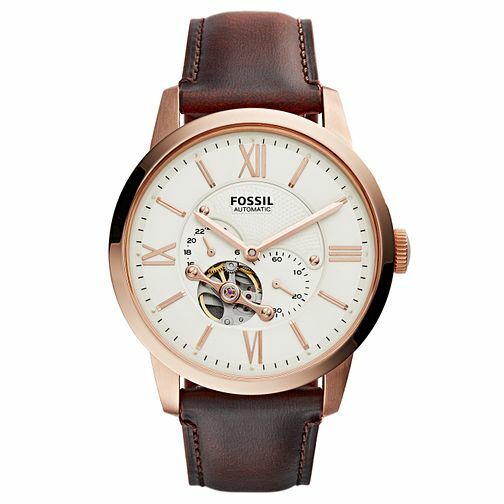 The automatic movement features a built-in rotor that’s powered by the motion of your wrist – no battery required. If your watch stops ticking, simply turn the crown clockwise until you feel some resistance. Desk, dinner, daily commute—think of Townsman as your best-dressed essential. This watch is compatible with all 22 mm straps.